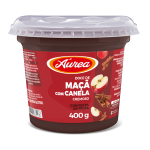 The Fruit Candy Line Aurea ensures flavor and creaminess. Made with fruit pulp, now with a taste even more striking. 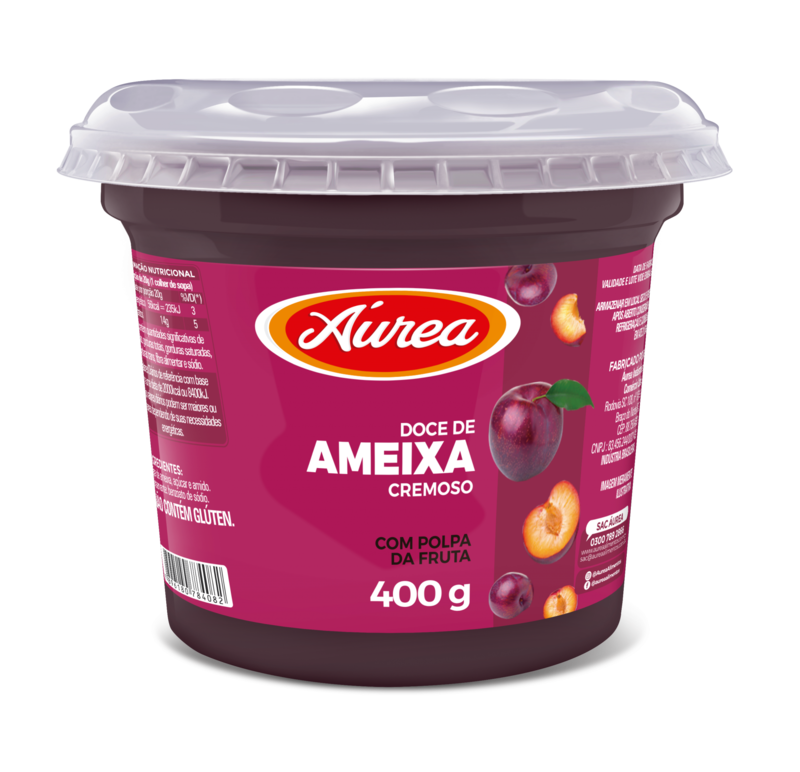 Plum pulp, sugar, water and starch. Preservative: sodium benzoate. Obs. : GLUTEN-FREE. 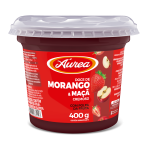 Portion of 20g (1 soup spoon); Energy value 56kcal = 235kJ (3%CEO); carbohydrates 14g (5%CEO). 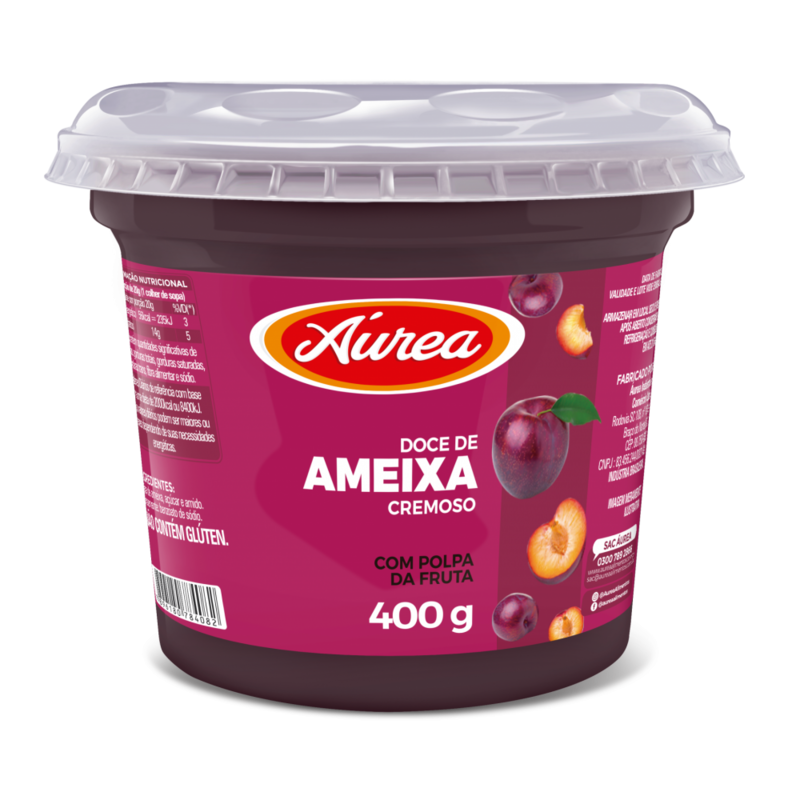 It contains significant amounts of protein, total fat, saturated fat, trans fats, dietary fiber and sodium. *% Percent Daily Values ​​are based on a diet of 2000kcal or 8400kJ. Your daily values ​​may be higher or lower depending on your calorie needs.